Mike Seymour, Matt Wallin and Ian Failes discuss the visual effects in the new film by Neill Blomkamp, Elysium. Click on the images below to listen online or subscribe for free in iTunes. The Raven searches over the city of Los Angeles at night. The Raven makes an unexpected landing on Elysium. 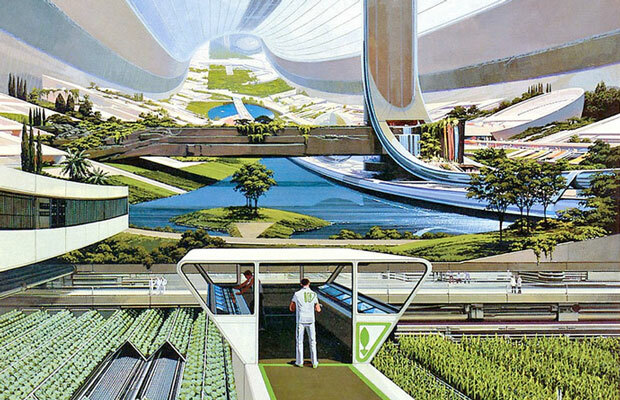 An older work by designer Syd Mead that echoes his later actual work on the film Elysium.